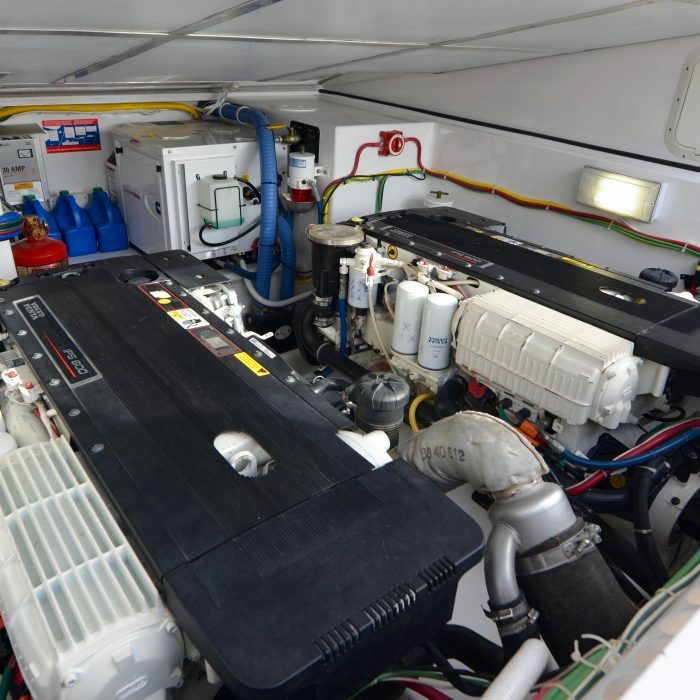 Customized to a set of specifications previously unmet in the yachting world, Winter’s 38′ express boat is equipped with power to spare. Planing in under three seconds, she achieves top speed in roughly twelve seconds. 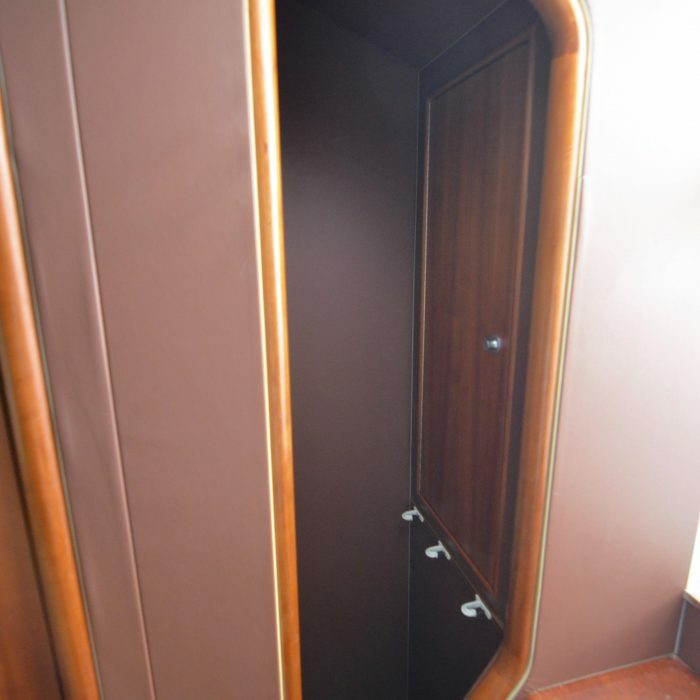 It was important to the owner of this express-style boat that neither speed nor maneuverability be compromised. 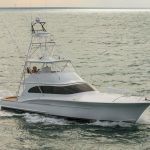 Capable of long range, 170-mile marlin trips and stationary snapper fishing alike, she is built for performance and practicality. 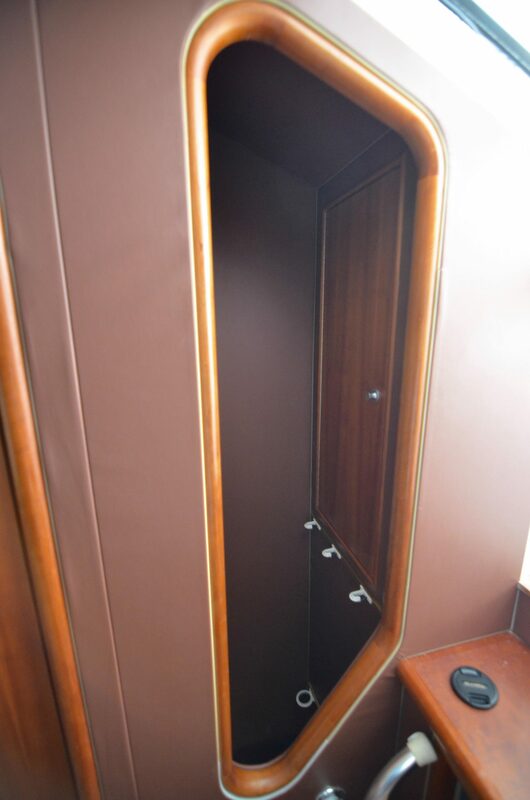 Today’s demands for a boat that can be “the first out there” are met by her superior pod drives. 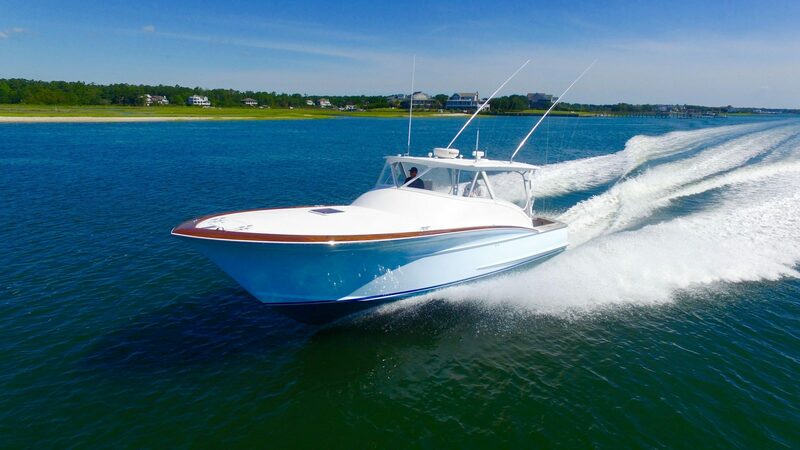 Characteristically shaped in distinctly “Carolina” lines and curvature, the craft displays remarkable fit and fairing. 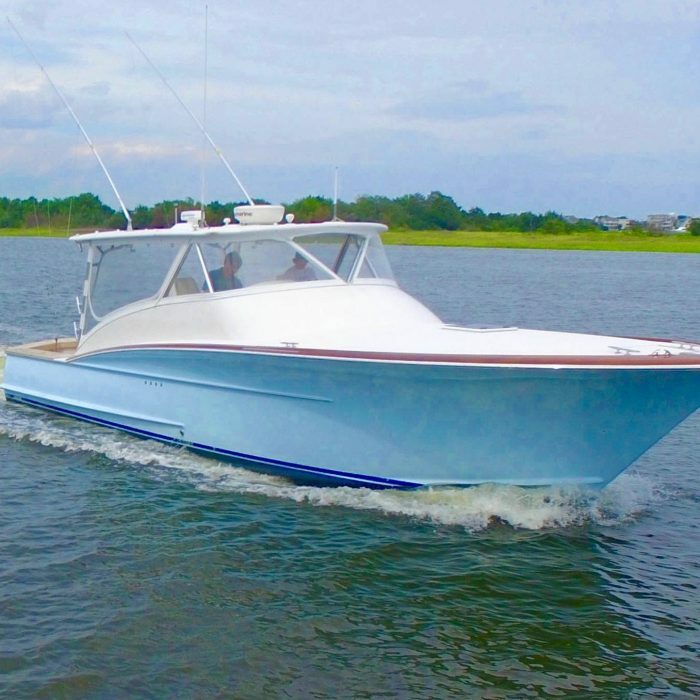 Even to an unfamiliar eye, Hull W-10 conjures the immediate recognition of how a Carolina boat should look and move. 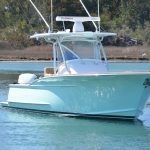 Winter’s Hull W-10 yacht was crafted atop twin Volvo IPS600 pod drives, eliminating the need for bow and stern thrusters. 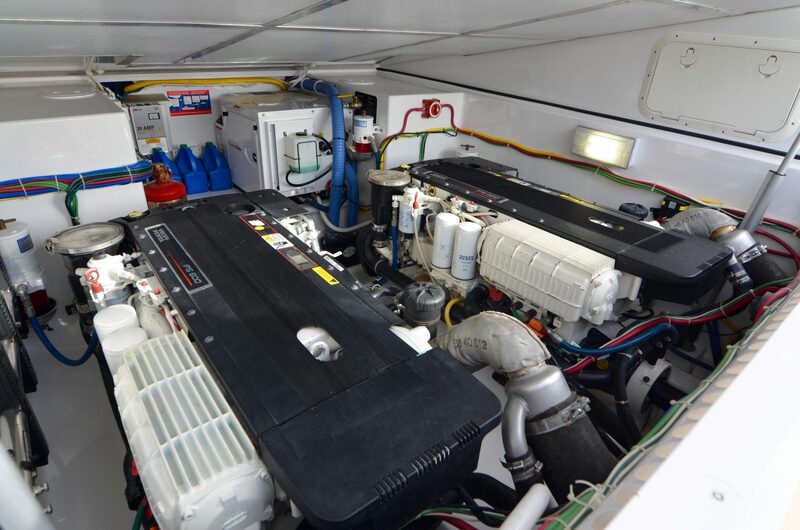 At 435 hp apiece, the pod drives deliver an efficient output, equally as powerful as larger, traditional shaft drives. During construction, special attention was paid to increased visibility, as well as the craft’s total height. 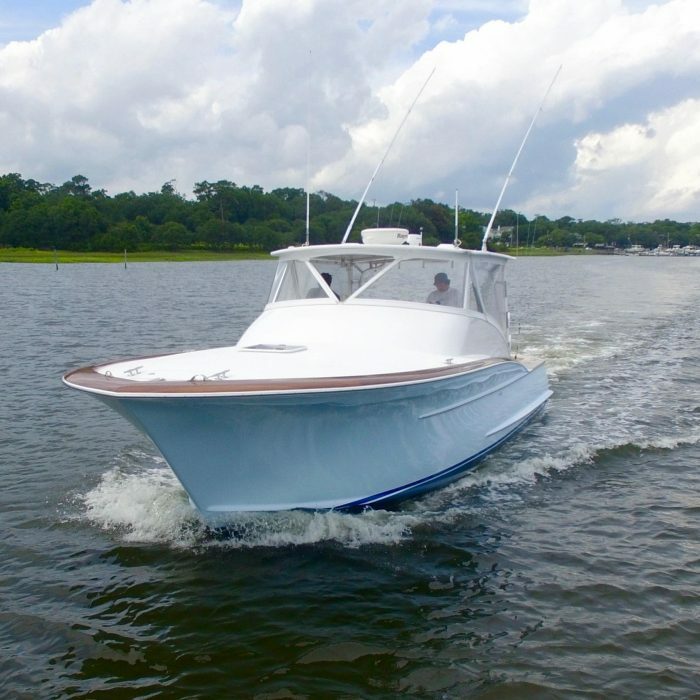 A local, low bridge was a challenge as the team at Winter customized Hull W-10’s exterior. 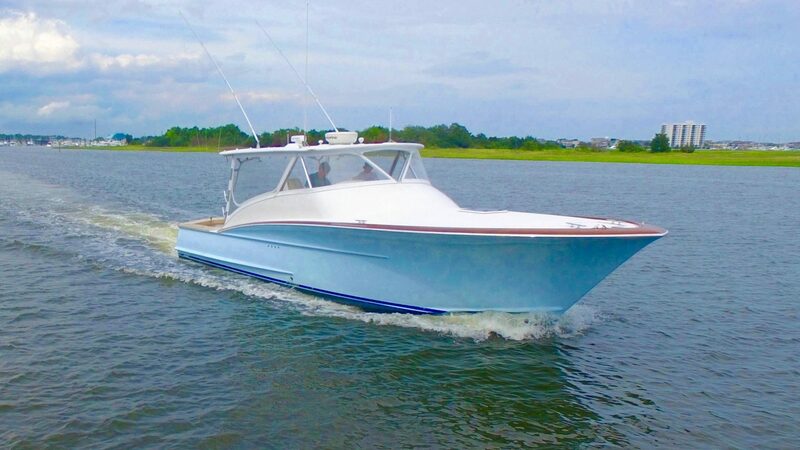 She clears her marks and is capable of cruising at 28 knots while only burning 28 gallons per hour. 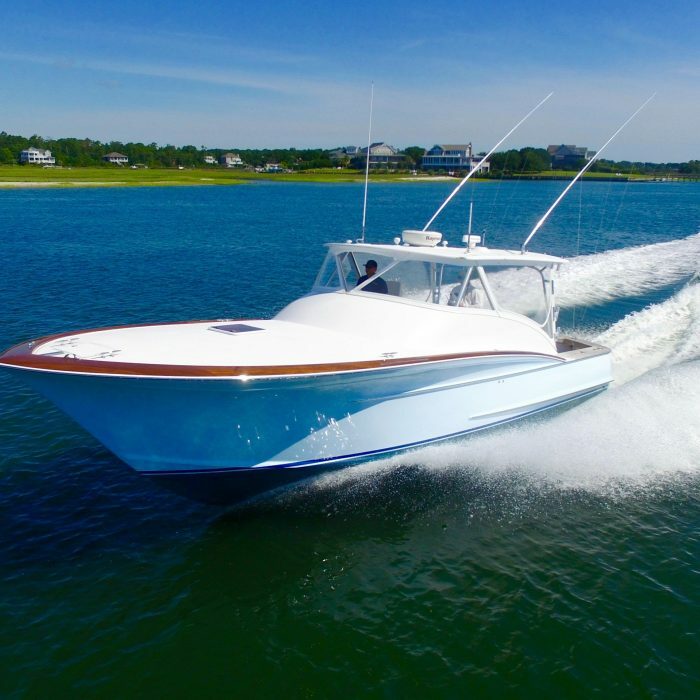 The owner’s desire for a responsive, agile fishing craft was satisfied entirely by the Volvo pod handling system. 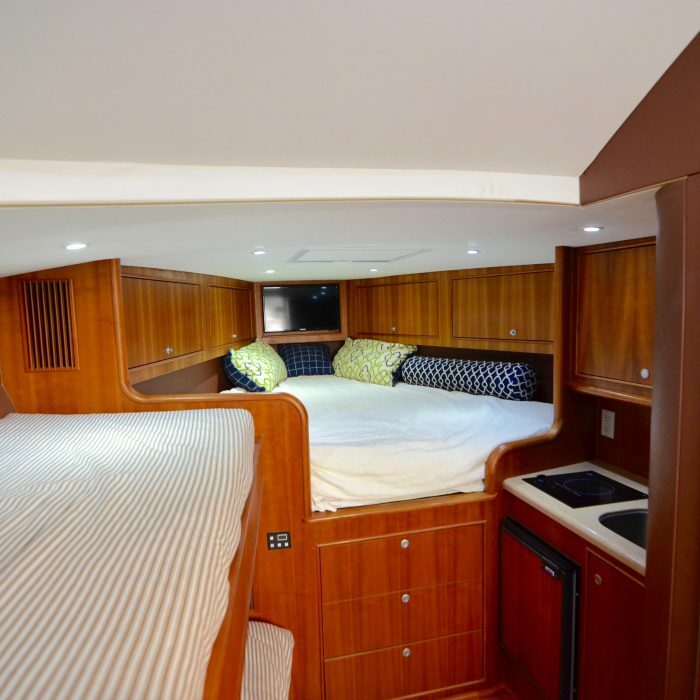 The Winter 38′ has mezzanine-style seating in the cockpit to accompany a stainless-steel lined, refrigerated built-in fish box. 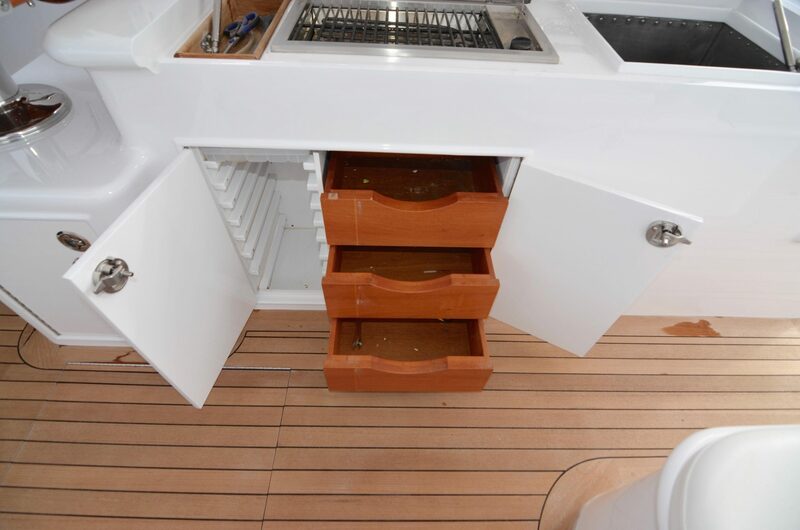 The transom door was designed to accommodate a catch of any size, prize billfish included. 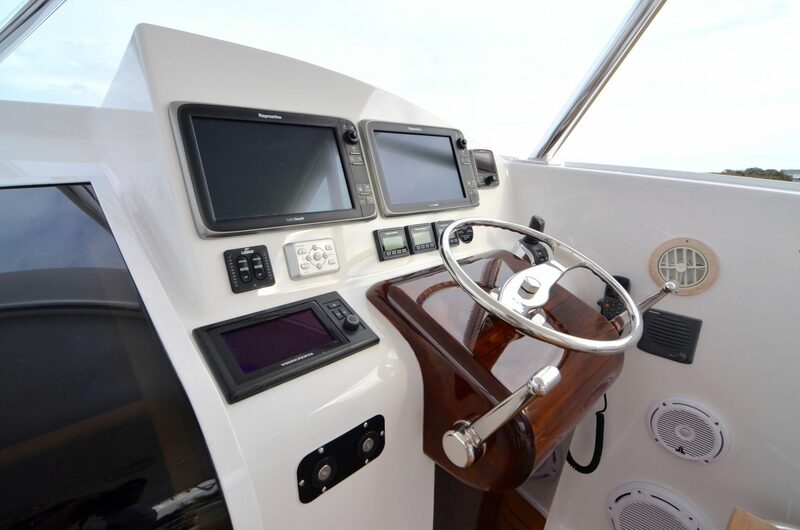 A large settee accompanies a co-pilot seat engineered by Release Marine. 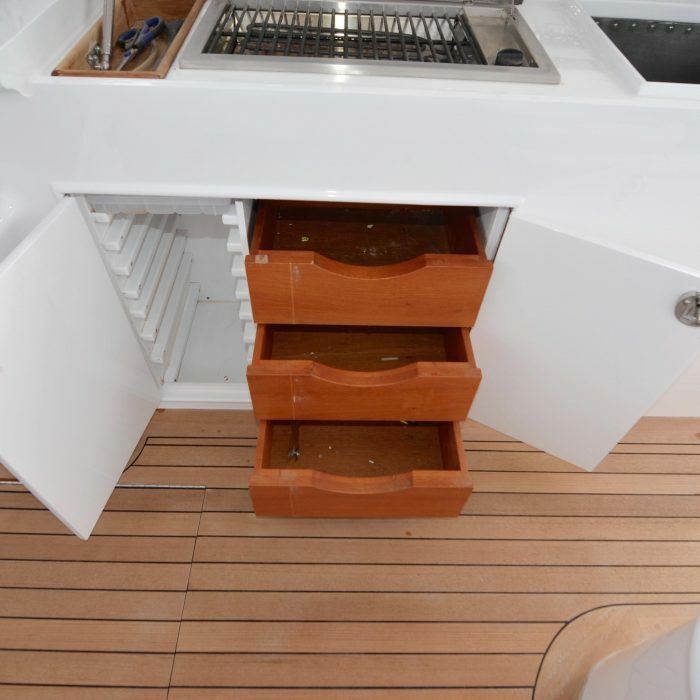 Additionally, her owner can enjoy the custom built-in barbecue grill installed into the tackle center on the starboard side. 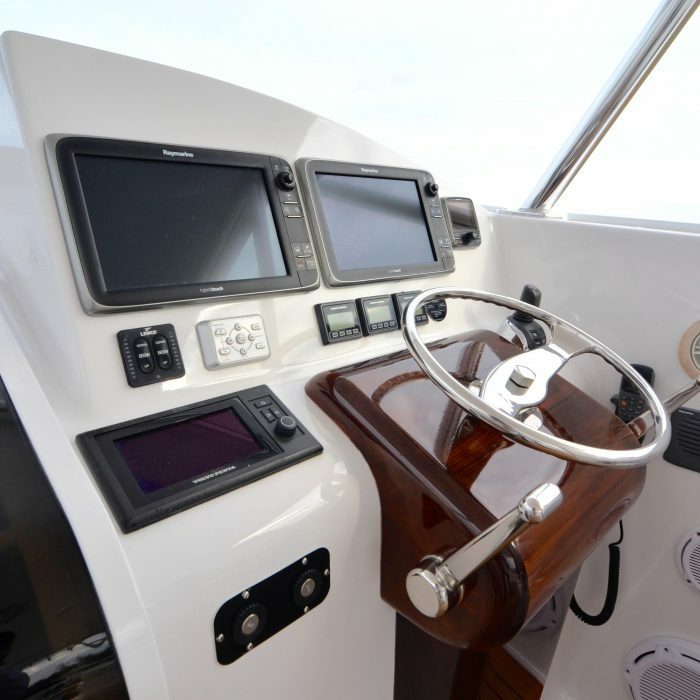 The helm sits starboard, complete with a Palm-Beach style helm pod with single-lever controls and another Release chair. 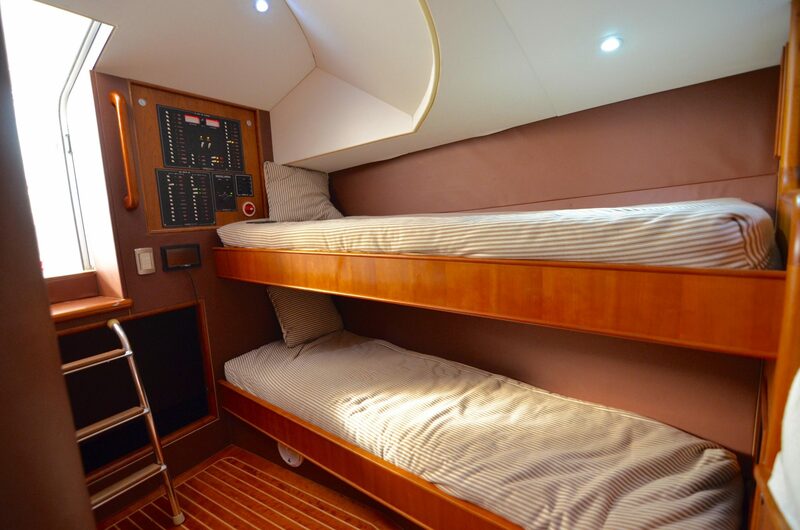 Below deck lies the head, shower, galley, and double bunk with storage. 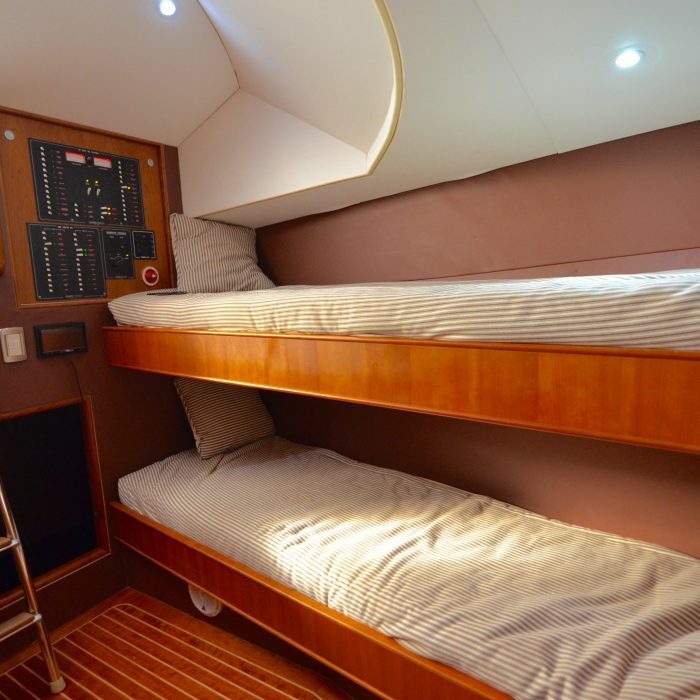 Three additional bunks can sleep a crew and provide more storage. 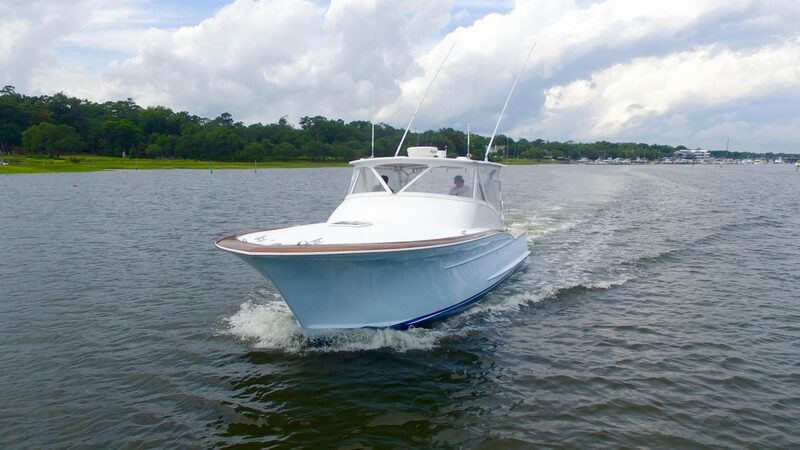 Hull W-10’s interior is polished in solid cherry trim and cherry veneers, as well as cherry-and-holly flooring and soft-padded walls. 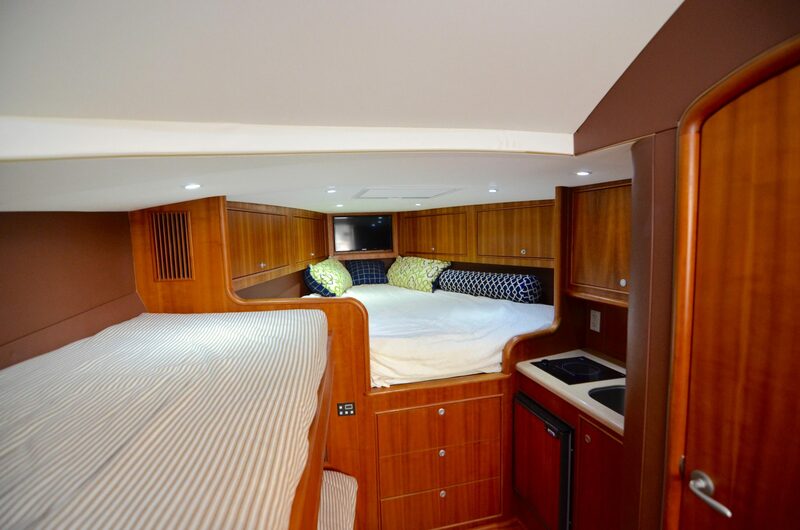 Far more comfortable and lavish than a typical boat of this size, she is the perfect vessel for a grand voyage or spontaneous cruise. Winter’s Hull W-10 truly pushes the boundaries for express boat performance.